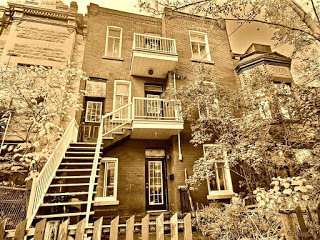 Welcome to the eighteenth installment of the Haunted Montreal Blog! Released on the 13th of every month, the October 2016 edition focuses on research we are carrying out into hauntings at the venerable Saint Lawrence Burial Ground, an old Protestant cemetery that was recently disturbed during road work. 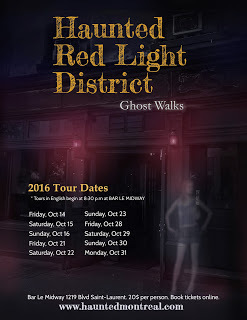 We are also pleased to announce our 2016 Hallowe’en Season with our new Haunted Red Light District Ghost Walk! Please see the Company News for information about the tour and how to book tickets. In September, 2016, dozens of skeletons were discovered buried underneath René-Lévesque Boulevard in front of the Hydro-Québec headquarters during construction work. Archaeologists were called in to extract and study the remains, before transferring them to the Protestant Mount Royal Cemetery. 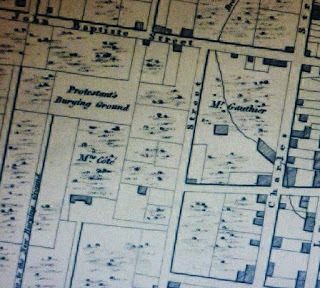 Originally the location of the Protestant St. Lawrence Burial Ground, which served the community from 1797 until the early 1870’s, today there is no indication of the cemetery’s existence, except when digging up the road. Meanwhile, workers at Complexe Guy-Favreau, a federal government building that was partially built on the old cemetery in 1978, must contend with paranormal activity when working in the portion of the building that was built on the old burial ground. There are rumours that the ghosts of the old cemetery are unhappy with their predicament and want to destroy Complexe Guy-Favreau. Furthermore, disembodied, British accents can sometimes be heard in the section built on the old cemetery, murmuring as though in mourning. Objects also sometimes get knocked over for no reason and the scent of incense sometimes returns without explanation. One employee even reported encountering some sort of undead creature in a dark washroom early one morning. 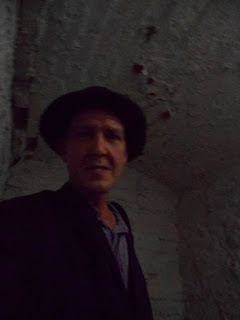 Before speculating as to who or what might be haunting this area, it is always a good idea to examine the history first. Before the British took over the city in 1760, all burial grounds were located within the city walls of the French colony of Ville-Marie. The cemetery’s northern boundary was at the wall, today marked by Fortification Lane. It extended as far south as the middle of what is now St. James Street. The eastern boundary was at St. Francois-Xavier Street and it extended to Victoria Square in the west. With an influx of British Protestants, a new burial place was needed for them. At first they opened another cemetery adjacent to the northern wall. Burials were overseen at first by Rev. 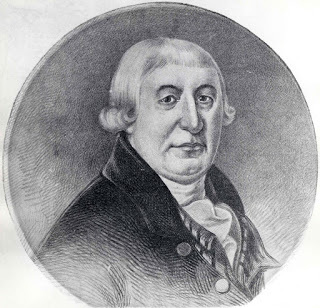 David Chabrand deLisle, a Protestant clergyman from France. The government had chosen deLisle because they hoped he might be able to convert French Canadians to the Protestant religion. However, despite being the Protestant minister in Montreal for nearly 30 years, he was unsuccessful in converting any Catholics. Some people suggested he had a communication problem, especially because he also had a reputation for speaking English so poorly that his own parishioners could not understand him most of the time. When Rev. David Chabrand deLisle died in 1794, he was buried in the same cemetery inside the city walls. 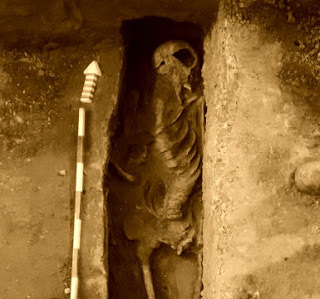 By the end of the 18th century, officials were becoming concerned with the ongoing burials “within the walls” because of the perceived dangers to public health. They theorized that it was dangerous for the dead and the living to co-exist so closely together, especially with infectious diseases like cholera and smallpox spreading. 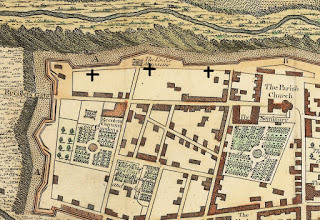 Churchwardens submitted a petition to close the old cemeteries to the Attorney General of Lower Canada, who approved the request and demanded that people stop burying corpses within the city walls. 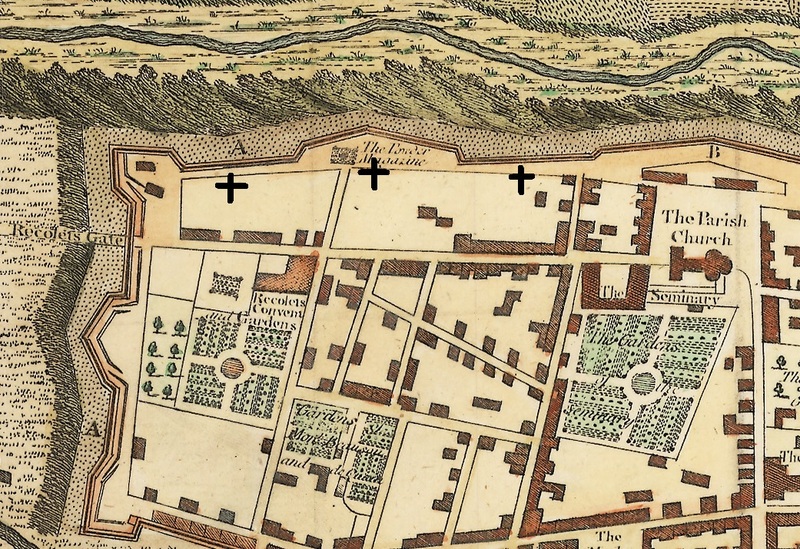 Plans were immediately made to open two new cemeteries, one for the Catholics and one of the Protestants, in rural areas outside the city walls. The new Protestant Saint Lawrence Burial Ground opened in 1797 in the vicinity of today’s St. Urbain and René-Lévesque Boulevard (formerly Dorchester Street), whereas the more westerly Catholic Saint Antoine Cemetery opened two years later in 1799 near Peel Street. The Saint Lawrence Burial Ground, also known as the Dorchester Street Cemetery and Protestant’s Burying Ground, saw a lot of action during its 80 year existence. 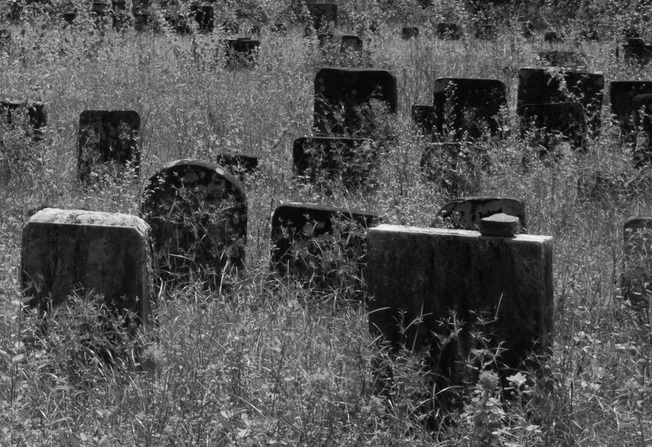 When it first opened in 1797, Protestants were given the opportunity to transfer bodies from the old cemetery within the walls to the new one on the outskirts. Plans were afoot to erect buildings on the old cemeteries, which by now occupied valuable real estate. In 1799, James McGill heard that his friend John Porteous’ grave in the old cemetery was being repossessed. To resolve the issue, he had the skeleton exhumed and moved to Burial Plot #16 in the new St. Lawrence Burial Ground, where it was re-interred. McGill had purchased his personal plot for 10 pounds and it measured 10 x 7½ feet. When McGill died in 1813, he was buried next to his old friend, John Porteous. His wife, a Catholic, had to be buried elsewhere due to religious regulations that forbade Protestants from being buried in the same cemeteries as Catholics. Despite the ever-present smell of death, Edmund Wood was not discouraged. He opened the creepy mortuary for church services and seats were provided free of charge. Wood’s pastoral work concentrated on the poor, prompting the congregation to grow quickly in size. Before long, there were twice as many people sitting outside, among the tombstones, as there were inside the mortuary. Eventually, the mortuary was deemed too small so a lot was purchased at Saint-Urbain and Ontario Streets, where St. John the Evangelist Church was constructed in the 1870s and opened for worship. 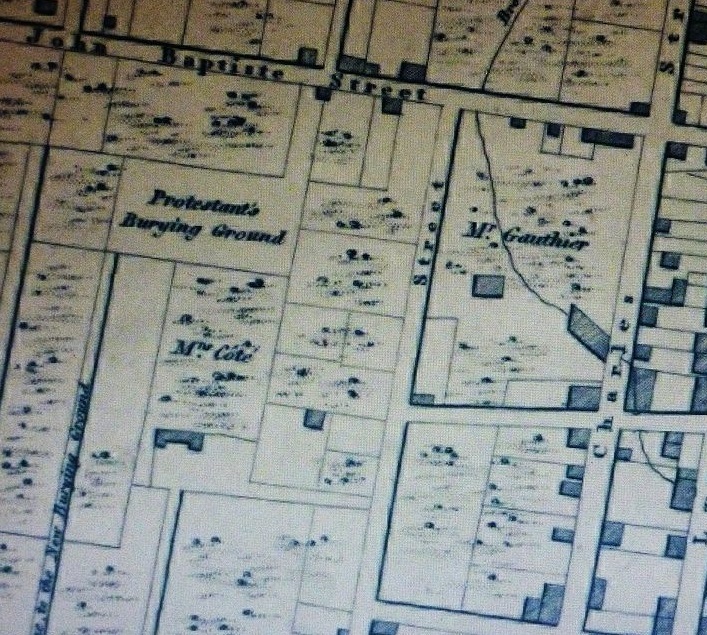 During the 1850s, the Protestant Burying Ground was becoming overcrowded and took on a look of dilapidation, prompting plans to open a new Protestant cemetery on Mount Royal in 1852. The Saint Lawrence Burial Ground was deemed full in 1854, so it was abandoned, allowing Mother Nature to take her course. Twenty years later, in 1872, one visitor described its forlorn condition, explaining that the place was choked with weeds and tall grass. In 1873, the city finally expropriated the creepy cemetery to make way for a public square. Once again, citizens were asked to remove any corpses they wanted to have re-interred elsewhere. 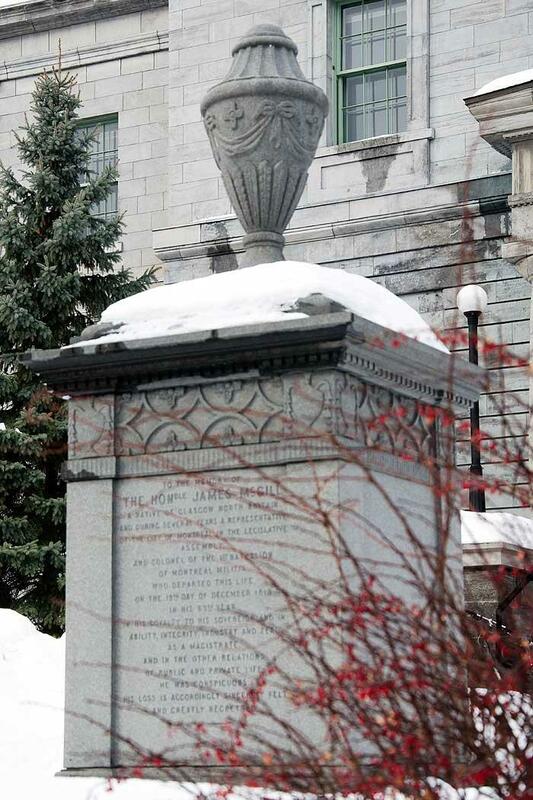 Upon hearing this, McGill University administrators arranged for the transfer of James McGill’s skeleton and monument from Plot #16 to the location where it is today, in front of the Arts Building. They put his skull and bones in a box and placed the box in a pedestal they constructed, securing his funerary urn on top. This was replaced with a replica in 1944 by the McGill graduates society and Canadian Grenadier Guards after the old one was deemed too eroded. While there is some speculation that they may have moved the wrong body, that of his friend John Porteous, it’s unlikely because the operation was carried out by none other than Richard Srigings, the superintendant of the Protestant Cemetery on Mount Royal. Not only was he an expert in exhumations, but John Porteous had died after being thrown off a horse, cracking his skull, whereas James McGill’s death was sudden and of natural causes. According to one of his associates: “he had no Idea of going off half an Hour [before] he died” on December 19th, 1813. 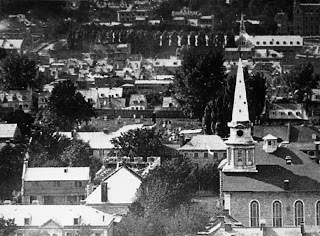 With the old Saint Lawrence Burial Ground finally abandoned, in 1875 city architects converted it into Dufferin Square, one of the few green spaces in that corner of town during the era. 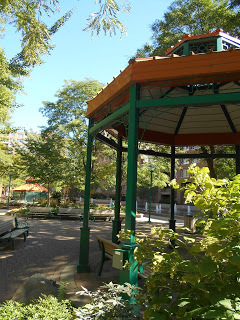 For slightly over a century, Montrealers would enjoy the bucolic Dufferin Square, especially as its reputation as the site of an old cemetery began to fade. Parents would bring children for picnics and lovers would meet there late at night for amorous encounters, oblivious to the fact that hundreds of skeletons lurked just a few feet below the ground. However, the good times were not to last. 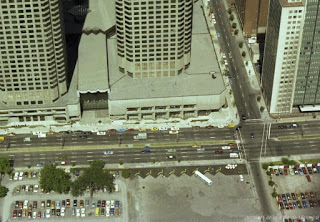 During the 1970s, plans were made to expropriate Dufferin Square to make way for a massive federal building called Complexe Guy Favreau. At first, the old cemetery was converted into a parking lot while preparations were being made the new structure. A layer of asphalt was spread over the old burial ground, and it was taken over by motor vehicles in need of parking. 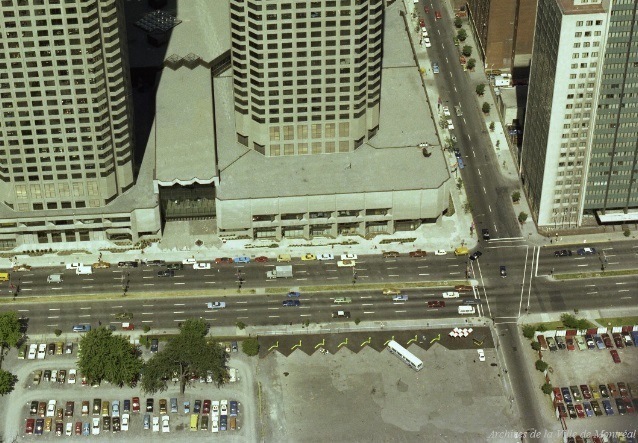 When the foundation work on Complexe Guy Favreau started in 1978, workers were quite surprised by a discovery near the corner of Jeanne Mance Street and Dorchester Boulevard. While digging, they unearthed two perfectly-intact, windowed, metal caskets. The coffins belonged to two bothers: Noah Shaw, who died in 1836 at the age of 16, and Edward Payson Shaw, who died in 1844 at the young age of six. He had accidentally been killed in his father’s carpentry shop on Nazareth Street in Griffintown. The two boys were re-buried in their original, unopened coffins in the Mount Royal Cemetery. They were soon joined by the assorted bones of another sixty individuals, all of whom were dug up during construction of Complexe Guy Favreau, including members of the British garrison who had served in Montreal prior to 1814. Over the course of time, over 100 skeletons had been unearthed in the vicinity. The massive Complexe Guy Favreau was controversial from the beginning. Designed as a 12-storey building complex containing Canadian government offices, it was named after Guy Favreau, a former MP, federal cabinet minister and Quebec Superior Court Justice. Extending over a six acre plot of land, the complex was built to contain various Canadian governmental offices, rental properties, a housing cooperative, commercial units, and a daycare facility. The erection of the structure took place not only on the old burying ground, but also over large swathes of Montreal’s historic Chinatown. As long-standing buildings were torn down to make way for the federal multiplex, Chinatown’s residents were vocal in their disapproval. To help appease the residents at the time, the government included a residential section in the southern section of the building complex on De la Gauchetière Street called “Les habitations du centre-ville”. 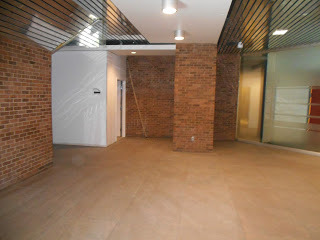 A beautiful courtyard was also built in the Complexe and opened to the public. A significant number of park benches were also installed on the southern half of the main concourse of the building, which have proved to be very popular, especially in the winter. However, as soon as it opened in 1984, problems began happening almost immediately. Some superstitious residents attributed it to the paranormal. 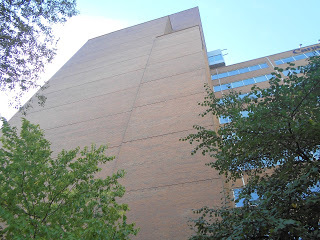 For example, in 1988, the brand new Complex Guy Favreau started shedding bricks. The bricks began to fall with such great frequency that the government began to worry that someone might get injured or killed. Some residents began to speculate that the ghosts of the old cemetery were trying to destroy the building. In a panic, the government authorized $8 million in repairs to try and rectify the problem of the tumbling bricks once and for all. 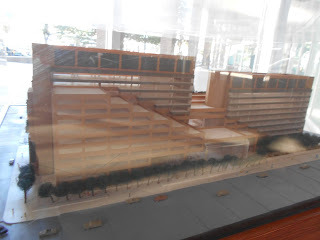 There are also other paranormal incidents within the gigantic building that workers must contend with. Some of the janitorial staff contend that the northern part of the building is haunted, which was built on the footprint of the Protestant Burying Ground. Some of the staff report hearing disembodied British accents murmuring amidst the sound of weeping. One janitor suggested that “it almost sounds like a distant funeral.” There is also the unmistakable smell of incense that sometimes materializes out of nowhere, usually in the basement of the building.One legend has it that mirrors were specifically installed into the ceilings of Complex Guy Favreau to keep any ghosts from rising above street level. According to some strains of folklore, a ghost cannot rise if its own image is reflected above itself. In one disturbing incident that unfolded in the early 2000s, a janitor was working in the basement section of Complexe Guy Favreau, the part that was built on the old Saint Lawrence Burial Ground. While using a machine to clean a large stretch of floor, he felt an urge. Feeling hungover as a result of clubbing the night before, he felt pangs in his stomach and decided to go to the bathroom. 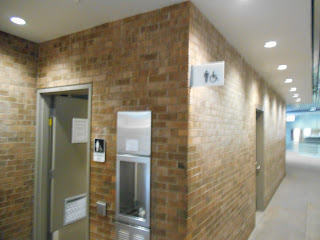 He proceeded to the nearest men’s washroom, located in the basement in the north-east corner of the building. The washroom was empty, so he entered one of the stalls and prepared to do his business. He dropped his pants and sat on the toilet seat. Suddenly, the lights began flickering for a few seconds before the washroom was plunged into darkness. The man was surprised because there were rarely any electrical failures in the massive complex. He wondered it the problem was localized or if it affected the whole building. As he was thinking, he heard a faint gurgling noise from somewhere within the washroom. At first he thought it might be related to the pipes, but as he listened more closely, he realized that it sounded almost human. He then heard what sounded like heavy footsteps slowly coming towards the stall. The gurgling noise got louder and suddenly the door to the stall burst open. The man jumped up in a state of pure terror and yanked his pants back up. He tried to escape from the stall, but it felt as though someone – or something – was in there with him, preventing him from leaving! The man struggled with the unseen creature, which by now had grabbed him. Wrestling, the man finally managed to break free of its grasp. In the inky darkness, he quickly groped his way towards the exit of the bathroom, the gurgling noise right behind him. Finally, he burst out through the washroom door and into the light-filled basement of Complexe Guy-Favreau. He ran as fast as he could to the staff room to report what had happened. Out of breath, he blurted out his story to a skeptical colleague. When he got his courage back, they went to investigate the bathroom. They cautiously opened the door and began examining the lavatory but found no evidence of electrical failure or anything else unusual. The man was stumped, swearing that he had experienced a ghost or something paranormal. His colleague laughed, suggesting that it could have simply been the man’s hangover playing tricks on his mind. Whatever the case, the janitor quit his job shortly after his bizarre and terrifying experience. Today, the strange hauntings are rumoured to continue at the Complexe Guy Favreau and many of the staff members are wary of the basement portion of the building. With the unearthing of the skeletons, federal employees are more edgy than ever. Today, there is nothing whatsoever to indicate the presence of the old Saint Lawrence Burial Ground, not even a historical plaque. 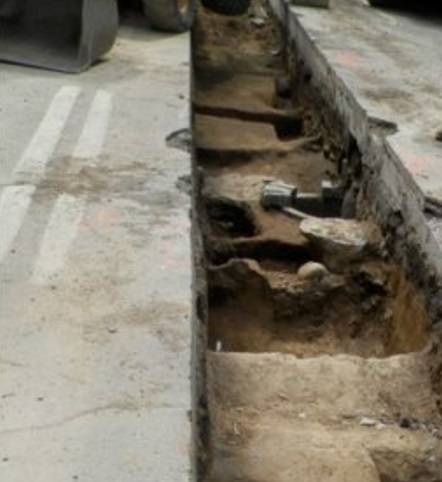 Indeed, it is only when workers dig up the road that people are reminded of the gruesome fact that many skeletons lie just beneath the ground on one of Montreal’s busiest boulevards. 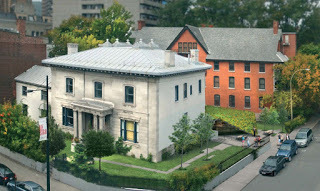 Haunted Montreal is also pleased to announce that the people in charge of Notman House finally responded to our request for a paranormal investigation! Based on the Haunted Montreal Blog of June, 2016, new managers agreed that Haunted Montreal should arrange a team to look into allegations of hauntings, including by current staff members. One janitor, for example, is convinced he recently encountered the ghost of William Notman! 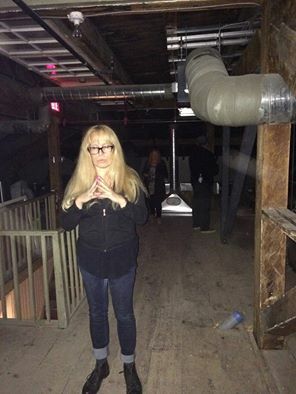 The paranormal investigation took place the night of September 24, from 10:30 pm to 3:00 am. There were approximately 20 people investigating, including two teams of professional paranormal investigators, several mediums and psychics, witnesses, plus curiosity-seekers. Following a round of introductions, we heard from the witnesses, including André, who had an uncanny experience in 2002 while guarding a film set. After a short history lesson, the staff at Notman House led people on a tour of the buildings. The attics were especially creepy, as was the incinerator room in the old St. Margaret’s Hospital for the Incurables, where countless corpses were cremated. One medium sensed that not everyone who was cremated was actually dead upon the incineration. Following the tour, investigators were given a few hours to explore the buildings and look for ghosts and paranormal activity using tools like EMF readers, temperature guns, dowsing rods and infrared cameras. Quite a lot of paranormal activity was captured on camera in the spooky attic. At 2:30 am, we reconvened and shared notes. Everyone agreed that the buildings are haunted, most likely by William Notman and those who died of incurable diseases in the old hospital. After a cleansing ritual, the investigation was concluded. Overall, it was a fascinating evening and Haunted Montreal is exploring the possibility of offering this type of activity to our clients during the winter months. 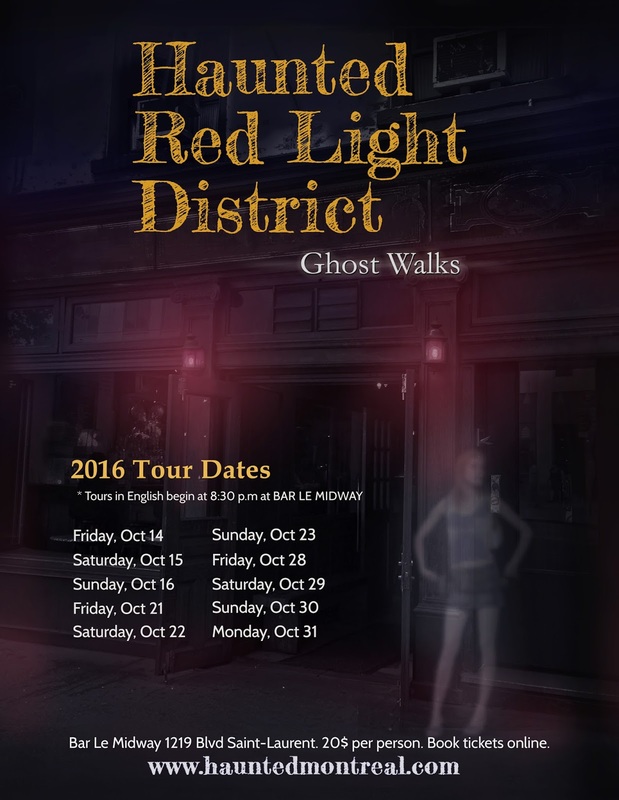 For the Hallowe’en Season, Haunted Montreal is pleased to announce a brand new ghost tour: the Haunted Red Light District Ghost Walk!Today, Montreal’s Quartier des Spectacles is famous as a zone for festivals and entertainment. However, most visitors are unaware the most notorious Red Light District in North America once existed on the same site. Not only does it have a very dark and salacious history, but many of its buildings and streets are also reported to be haunted.Step back in time and experience Montreal in its heyday as a “wide open city”! Discover an era when brothels, gambling dens, booze cans and burlesque halls lined every street and corruption of every type reigned. Guided by a professional actor and storyteller, guests will hear twisted tales and visit sites that are reputed to be haunted and where the ghosts have been spotted. Hear tales about Montreal’s transformation from a strictly religious colony into Sin City and how the clergy tried to stop it at every turn. 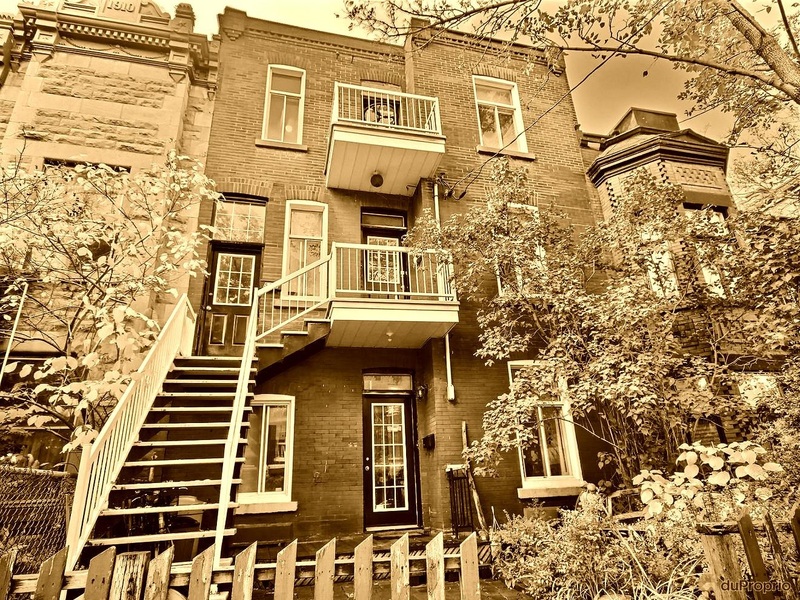 Visit one of Montreal’s ghost streets, where paranormal activity is known to disturb tourists exploring the neighbourhood. Learn about Montreal’s Red Light history and how Prohibition prompted millions of visitors to stream in from all over North America looking for a good time. Discover a haunted hotel where guests experience strange disturbances during the night, thought to be related several murders during the 1980s. Many theatres, cinemas and performance halls in the Quartier des Spectacles are also rumoured to be haunted. Learn about the spirits that occupy these places, including one creepy apparition who is said to lurk in the basement of the Monument-National, once the site of a deranged Victorian waxworks museum – the Eden Musée. Hear about some of the notorious characters from the era, such as bank robber Machine-Gun Molly, Burlesque Queen Lili St. Cyr, brothel-owner Marcel Les-Dents-en-Or, and serial killer Dr. Thomas Neill Cream, McGill University’s most infamous graduate. Learn why the Canadian Army demanded that the Red Light District be shut down during WW II and how Mayor Jean Drapeau and police chief Pax Plante tried clean up the unsavory area. Discover how brothel raids, legal battles against corruption, the demolition of entire city blocks, and the rebranding of the entire neighbourhood led to the creation of the Quartier des Spectacles, Montreal’s glittering new Entertainment zone. While officials may have tried to erase the district’s history and stop all salacious activities in the area, the ghosts of the Red Light District still remain. To book tickets, please visit our 2016 Tours section. One of the most popular places to spot a ghost in Montreal is on the sloping eastern side of Jeanne Mance Park, which overlooks L’Esplanade Street. It is not uncommon for citizens to bring lawn chairs to the area during the summer months to sit there and wait for him. There have been many reports, some of them recent, about the ghostly apparition of a mysterious soldier wearing an old uniform who has been seen limping in the area. Witnesses have reported seeing the ghostly soldier walking with a cane up one of the long flights of wooden stairs, and entering into one of the old homes at the shadowy southern end of l’Esplanade Street. Who is this mysterious ghost and why is he haunting the area?